Wrap Control allows accurate winding of each hair lock around the barrel to achieve salon-like curling results. 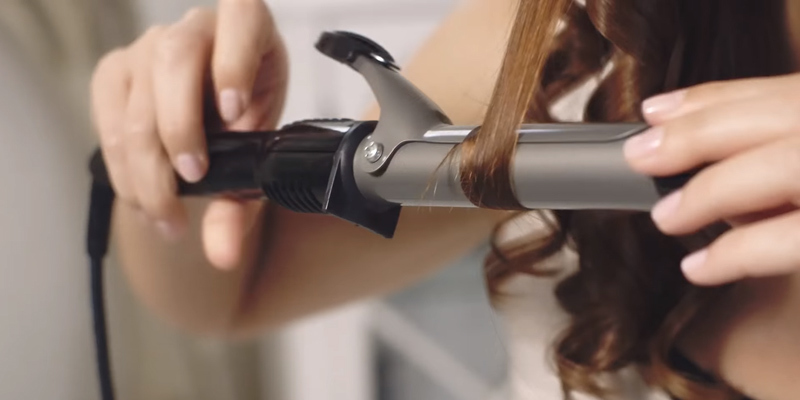 Auto shut-off feature adds to the safety of this curling wand greatly. Thin hair requires using some protective spray. Made with the user in mind, the BaByliss Curling Wand Pro suits women with any hair type and length. 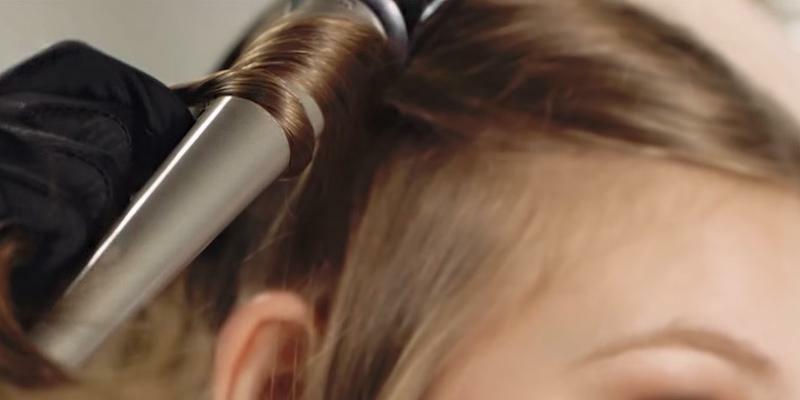 Thanks to a high-quality ceramic, the wand provides free-flowing curls with no kinks. Due to a temperature control lock, you'll never miss the setting and be able to apply the optimal temperature to your hair. After each use, it's pretty convenient to store the unit away in a heat-proof pouch. Buttons arrangement is a bit inconvenient. Super silk ceramic coating ensures silky smooth curls with a luminous luster. Amazing results within mere seconds! And long swivel cord makes this model an excellent choice for salon use. The upper part of the handle, as well as the clamping element and the cool tip of the wand, has a ribbed surface, making it easier to hold the device in the hand. The power cord is a bit short. With a minimal temperature of 150°C, it's a bit too powerful and, while great for women with thicker manes, just won't do for delicate curls. It's a classic model in all aspects so get it if you want quick and simple styling. 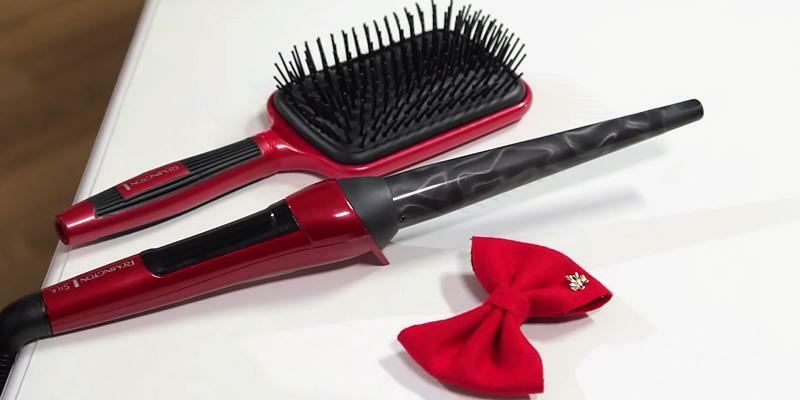 It comes with a brush attachment for creating bigger curls and adding body to your hair. ON indicator light helps you understand when the tool is ready for use. The TRESemme curling iron is great for travelling. It's a compact and lightweight dual-voltage styling tool that can easily be taken in any country of the world. Its slim barrel will help you make tight, spiral curls. 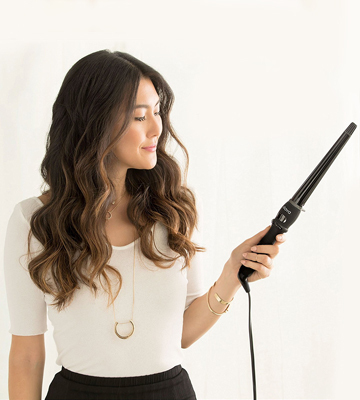 22 temperature settings make this curling iron a perfect fit for any hair type. These heat options allow you to experiment with your hairstyles making it possible to create both loose waves and tight curls, depending on your mood. The tool might be inconvenient to use on short hair. Coming with a great number of heat settings, a cool tip, and a heat-resistant glove, the Xtava curling tongs allow for making perfectly shaped curls in a fast and safe way. 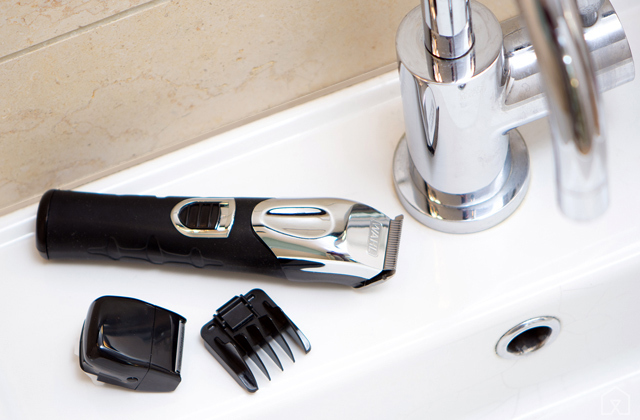 The tool also features a dual voltage option making it ideal for on-the-go styling. 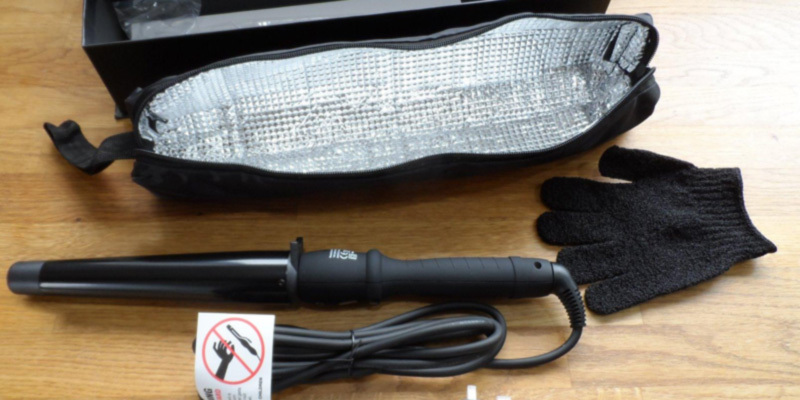 Are you looking for a Curling Iron that wouldn't cause damage your hair? 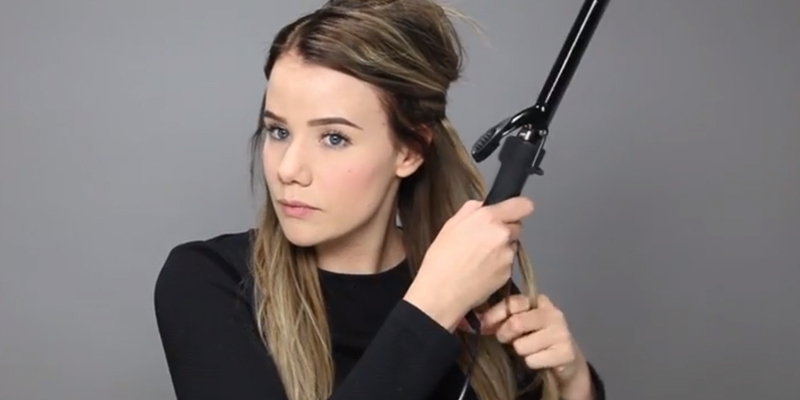 Consider this BaByliss curling wand. The manufacturer has done its best to make this curling iron not only high quality but also safe to use. 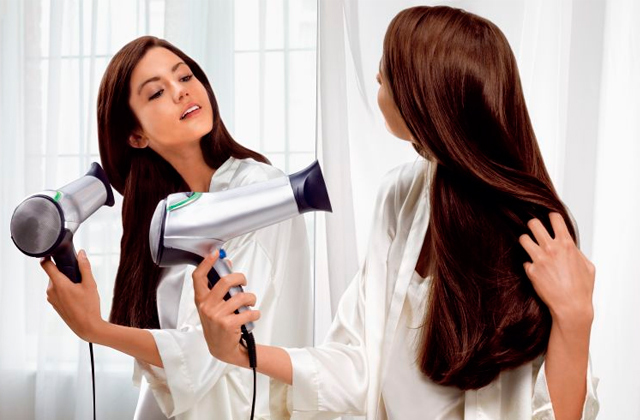 The appliance has 5 temperature settings to suit various hair types, with the low one being 150°C. The settings are easy to track on an LED screen placed on the handle of the device. When the curling iron reaches the selected temperature, the LED indicator lights up telling you in this way that the device is hot enough and that you can start to style your hair. 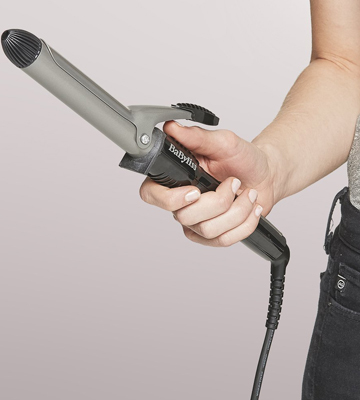 If you have concerns about burns, you can rest assured knowing that along with the BaByliss curling wand you also get a heat-resistant glove. Thanks to this, your fingers are not going to contact hot elements and hence, you risk no burns. Finally, we'd like to mention that this curler has an auto shut-off function; if you don't touch it for the next 72 minutes after styling, it will shut down automatically. The idea of curling hair with hot tools came to people in the 18th century. The first instruments for curling were hot iron sticks, though, some people even managed to use nails. The whole century had passed before inventors decided to create a special tool for curling. French hairdresser Marcel Grateau represented curling tongs in the 80s. By using these tongs (they had to be heated on a stove), it was possible to create an artificial wave which resembled natural curls. In 1882 Marcel Grateau opened his own beauty salon in the centre of Paris. As soon as his invention became popular, it was called after him, Marcel. The first prototype of a modern straightening brush was patented in 1906 by Simon Monroe. The tool featured metallic bristles for combing hair. A straightening iron we are used to nowadays (consisting of two iron panels) appeared in 1909. The first electric tongs for curling were invented by Eugene Sutter. It was a tool resembling a chandelier with electrically heated tubes. French company BaByliss represented a curling iron similar to the one we use nowadays in 1961. 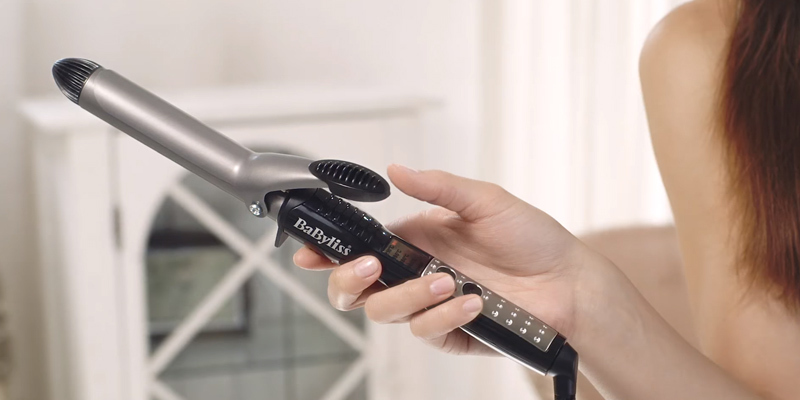 The device became so popular that the French still use the word BaByliss instead of curling iron. A famous Philips company invented the first hot rollers in the 1990s. As you can see, professionals of beauty industry have made a lot of efforts to provide women with numerous tools to emphasise their beauty. And they still keep on creating new devices to perfect them. If you think that you’d not be able to experiment with the curls using the same Curling Iron, try Remington CI98W1 and see different for yourself. The conical shape and variable barrel diameter allow trying on different looks, adding more volume, loosening or tightening the curls. Add to that a ceramic coating, and you’ll not recognize your hair. It will look extremely healthy, shiny and beautiful, just like you’ve always dreamt about. Remington CI96W1 curling wand boasts variable temperature settings for different hair types so that there's no chance that you may damage your hair. Understanding the risk of occasional burns, the manufacturer has included a heat-resistant glove. What is more, the iron’s tip doesn’t heat, so you can even touch it while winding the locks. 3-metre swivel cord doesn’t limit your movements – a nice feature allowing you to style your hair or make a hairstyle for your friend. 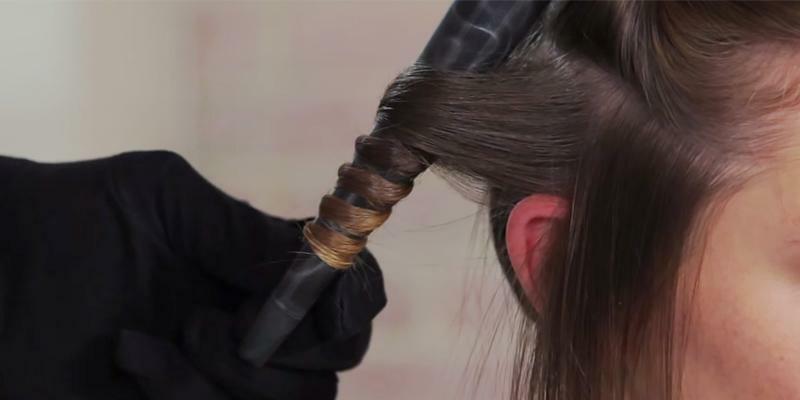 As soon as you finish styling, you can put the wand into a heat-resistant pouch. Besides, you can use it as a transportation bag whenever you plan a trip and want to take it with you. Before using any device for hair styling, read the instructions first. Choose appliances with a ceramic coating. Ceramics is considered pretty safe. Curl/straighten your hair only when it's dry. To avoid a negative effect of high temperatures, it’s recommended to use heat protective sprays. Treat your hair with moisturizers, oil, etc. not only before curling or straightening but regularly. Use hair shampoos, balms, conditioners, and masks. If you aren’t sure of the cosmetics you need, visit a professional salon or beauty shop and ask for advice. Tired of holding on to your curler with wet hands, trying not to let it slip away as you put on your makeup and get ready for work in the morning rush? 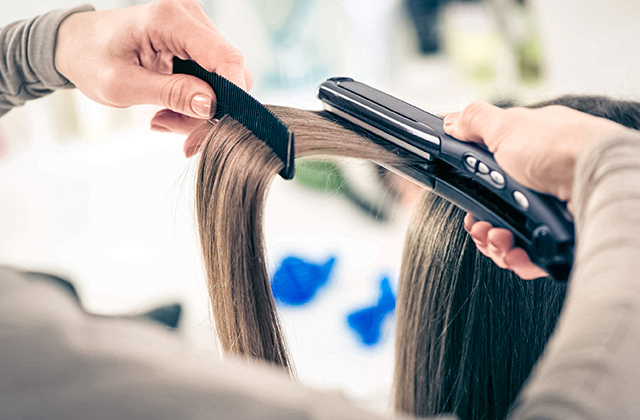 Don’t worry, the BaByliss Pro Curl 210 Tong will help you out. The device has an easy-to-grip, soft-coated handle, sleek, modern design, and a reliable tourmaline-ceramic coating, making it one of the best selling curling wands on Amazon. Thanks to the intrusion of tourmaline in the coating, the BaByliss Pro Curl 210 Tong can not only curl your hair but also nourish it giving it a beautiful lustre like that you see in magazines. It has a convenient barrel which doesn't need to be twisted much to achieve the desired effect. 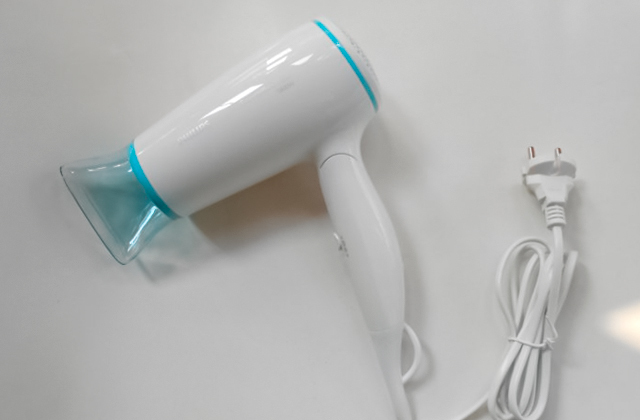 Also, it has 5 temperature settings that can be varied in the range of 150°C and 210°C, making sure you use the optimal heat suitable for your hair type, and an auto shut-off function turning the wand off after 72 minutes of no use. But what makes this model really shine is a quick heat-up time, something that even more expensive curling irons seem to miss. 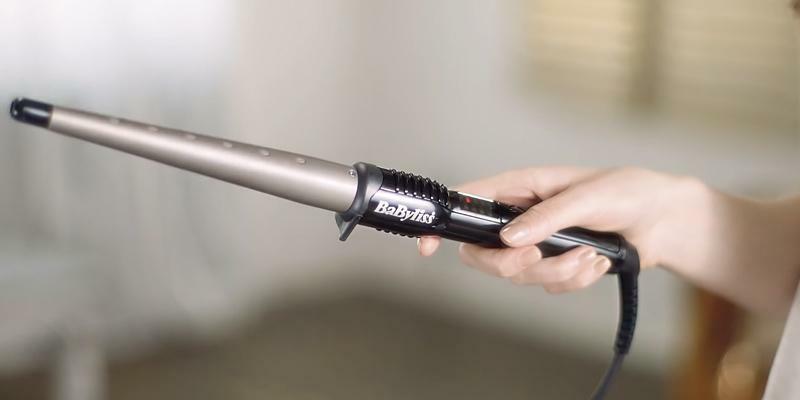 Being less fancy than sophisticated models, this BaByliss ceramic curling iron offers reliable operation, excellent styling results, and delicate care treatment. It's suitable for salon use and is perfect for daily hair styling. Ceramic evenly distributes heat over the surface of the hair, resulting in perfect curls with no hot spots. For this reason, ceramic is commonly used in the manufacturing of steam irons to provide both effective and gentle performance. Another advantage of ceramics is its ion emission. Ions produced by ceramics prevent the hair from over-drying. It is the ions that keep natural moisture inside the hair to prevent split ends and give it a healthy look. 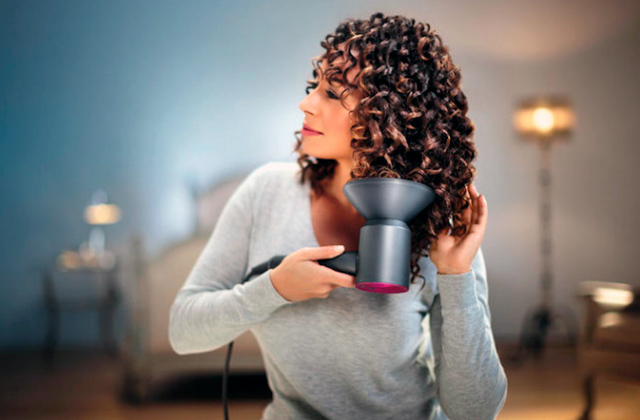 Ceramics in the BaByliss Pro Curl 210 is combined with tourmaline which allows it to remove frizz, while adding it shine and attractive smoothness. 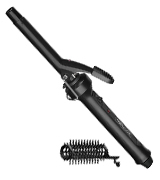 Ceramic curling irons can often be coupled with various technologies including tourmaline, titanium, far-infrared, and so on. 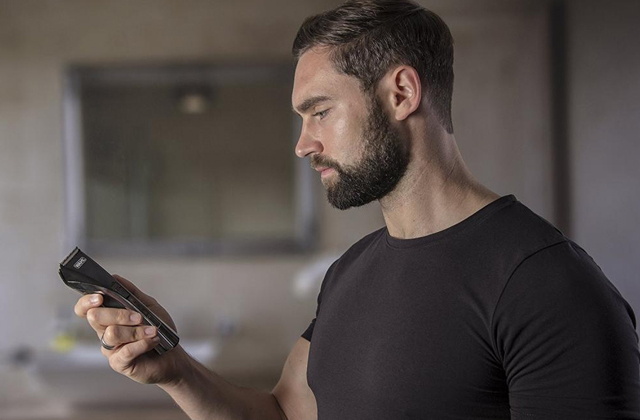 Each of them has its advantages, so take your time to learn more about these technologies to choose the best one to fit your hair type. 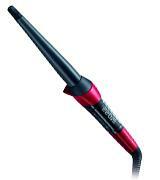 This TRESemme ceramic curling tong is an excellent value for the money. 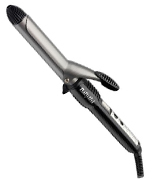 At half the price of professional stylers, this one offers almost the same high performance. We would like to note that this curler has no thermoregulator for adjusting heating settings and it can reach up to 185°C. This makes it quite universal and suitable for almost all hair types and structure. That being said, we'd not recommend it to customers with short and medium-length hair as it has rather a narrow barrel of 16 mm only which can make the process of styling the entire head quite time-consuming. If this does not put you off, you should be able to appreciate those defined spiral ringlets that only such slim curlers like the TRESemme tong allow you to create. Another advantage in favour of this curler is an additional brush attachment using which you'll be able to create bigger curls and add incredible volume right at the roots of your hair. 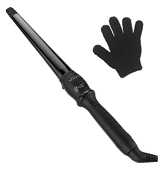 These curling tongs are very lightweight and have an ergonomically-shaped handle to minimize hand fatigue. The power cord spins 360° at the base and doesn't tangle. Another welcome feature of this styling tool is its ability to operate worldwide. 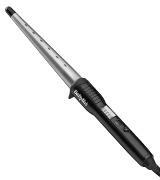 It's a dual voltage curling iron that supports 110 V– 240 V anywhere in the world. So, if you need a compact tool for creating tight curls wherever and whenever you're, the TRESemme Defined Curls Curling Tong is the best bet. Performance isn't the only thing that we expect from a curling iron. 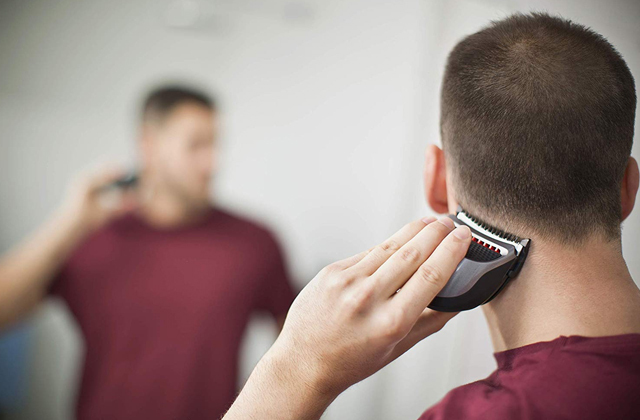 What else should be considered when selecting a hair tool is its safety and convenience of use. In this regard, the TRESemme Curling Tong can be a good choice. With the user's safety in mind, the manufacturer designed this tong with an insulated tip so that you could not burn your fingers accidentally during use. In addition, they've made it well balanced and included a stainless-steel support base allowing you to place it conveniently on the surface when you're making short breaks. Thanks to this very support, there are no risks of burning the furniture. Style your hair wearing a heat-resistant glove to avoid burns. As for the usability, the tool has rather a long cord of 1.8 meters, which should be enough for comfortable use at home. Add to that a 360° rotation feature and you're guaranteed to enjoy flexibility without cords entanglement or any kind of restrictions. 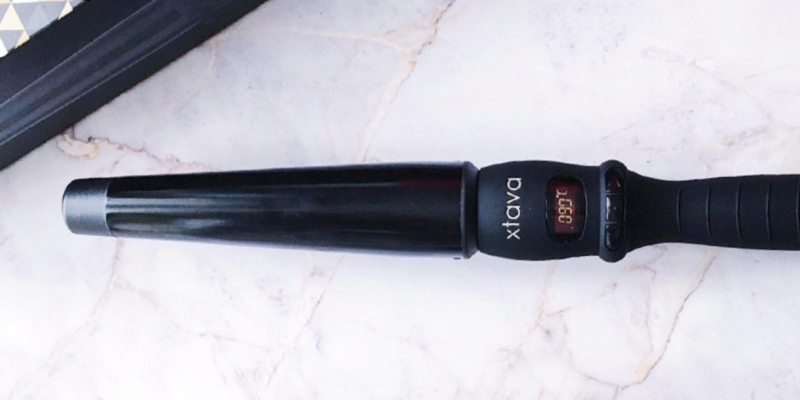 If you’re looking for a hair tool that would allow you to create perfect curls anytime, anywhere, you'll hardly find a better curling iron than the tong offered by Xtava. 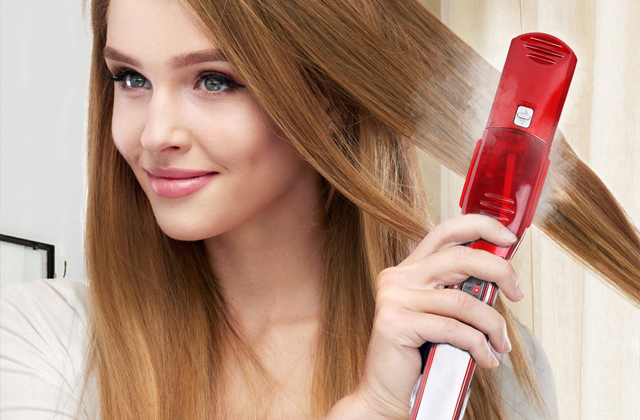 The first thing that should be mentioned about this curler is that it has a dual voltage, meaning it can be used anywhere, which is handy if you often travel. Another thing that's worth mentioning about this tong is its simple yet ergonomic design. The Xtava curling wand has a sleek conic shape that will fit any luggage bag easily. What's more, it comes with a travel pouch which ensures convenient transportation and storage. In addition to ergonomics, the Xtava has provided the tool with safety features that include a heat-resistant glove for comfortable curling and a 50-minute auto shut-off feature that turns the tool off automatically after an hour of being not in use. As in all sophisticated hair tools, the Xtava curling wand has a small LCD display so you can clearly see the selected settings. Speaking of which, the curler provides a whopping 22 heat options that can be varied from 200°F all the way up to 410°F. This makes it suitable for any hair type. As for the temperature adjustment, it's carried out with three buttons that are placed right below the display. Finally, if you haven't made up your mind yet as to whether this curler is worth buying, we'd like to say that it's one of the few models that contains such a bunch of accessories. Along with the tongs, the package includes 5 interchangeable barrels using which you can experiment with your looks anytime you want. It's natural that we all want to look our best regardless of circumstances. However, taking care of hair may be rather a dreaded task, especially when you're not at home and you've got no hair products to tame it properly. For such scenarios, we've prepared a few recommendations that can help you make your hair look beautiful with minimum efforts. Bring along shampoos and conditioners which brands you trust. While you're likely to be offered a shampoo in hotel rooms, you can't be sure it will fit your hair type. Try not to brush your hair too frequently when being at the seaside. Salty water dries out hair making it easily tangled and as a result damages it. So, rather than brushing your hair and trying to detangle it, it is better to wash it, moisturize it with oils, and brush it in the evening when it absorbs all oils. While being on a seaside resort, try to air dry your hair. 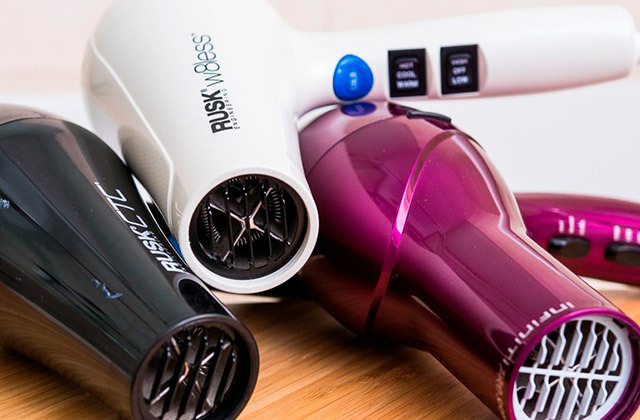 Despite most modern hair tools are designed with safe technologies, drying hair in a natural way is still more beneficial. However, if you can't do without these tools, look towards mini and travel models. Most of them use the same technologies, but unlike regular models, these come in compact sizes and have more lightweight designs, making them convenient to use on the go. What Is a Curling Iron? 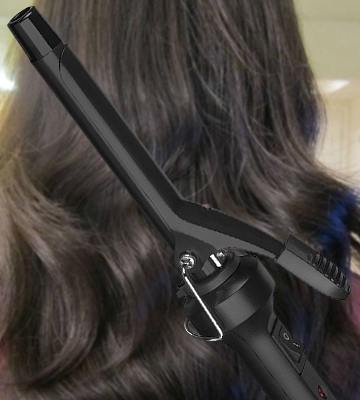 A curling iron is a popular electronic device, used by women worldwide to create curls and waves of different shape and size. Whatever there has been said about harmful action of a curling iron on the hair, it is definitely gone to the past together with poor quality metal curling tongs. Most modern devices feature either ceramic or tourmaline coating, mildly work on the hair and make it look absolutely gorgeous. A curling iron produced nowadays is safe to use on all types of hair, therefore, you can indulge yourself and make a hairstyle that you’ve always dreamt about without any harm to the hair. In our review, you’ll find a selection of only the best curling irons in the market, so you’ve got an opportunity to choose an optimal solution for your personal needs. Before curling your hair, you should be sure that it's clean and dry. 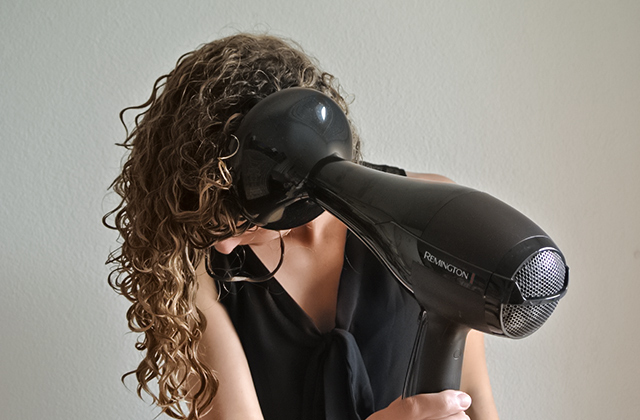 If you don't have time to air dry it, use hair dryers to save your time. One of the important criteria to consider before buying a curling iron is its Type. The market is overwhelmed with a variety of options available and it’s not surprising why there are so many people who have been disappointed with their choice after blindly buying the one. Ok, let’s look at this characteristic a bit closer. The popular type of a curling iron sold here and there is a classic variant - a metal wand with a heat regulator and a clamp. The obvious advantage of classic curling irons is their overall simplicity of use. It doesn’t require any special skills to wind up the locks and can be used literally by anyone right out-of-the-box. Women who prefer natural curls with more volume at the roots should consider buying a curling iron of a cone shape. But you should be aware that such curling irons may be trickier in use than, for example, irons with a clamp, and can easily burn a hand. The problem can be solved though, with a protective and heat-resistant glove. So, if you’re inclined to buying a conical curling iron, make sure that a chosen device includes a glove. Another popular type of curling irons is spiral. Such irons are used to create elastic, spiral-shaped curls along the entire length of the hair. Different to all other types of curling irons by outward design and performance is a Curling chamber. With this device, you would hardly need to do any action yourself. Once the strand of hair is placed in a chamber, all you need to do is to set the desired direction of a curl and its shape. The device will do all the job for you. As you can see, there’s a vast choice of models to choose from, but now you know what to look for. Material and Coating of a curling iron is also important. Stay away from metal tongs. They are the main enemy of hair beauty. Not only do they ruin the hair from inside, they also make it look unnatural and messy. Ceramic or tourmaline coating is what you really need. While a ceramic coating is going to be evenly heated across the entire length and ensure elastic curl all way through, tourmaline-coated irons would also generate negative ions and eliminate the frizz. We’d also like to draw your attention to a number of Accessories, provided with a device. Models with limited functionality aren’t necessarily bad. Women with the normal hair structure can easily opt for this option. However, the owners of too thin and thick hair may want to purchase a curling iron with a heat regulator. The range of temperatures varies from 60 to 200 so that a user has got an opportunity to set the optimal heat for her hair structure. A good bonus to a good curling iron would be a set of various barrels - ribbed, wide and narrow. And the last, but not the least criterion to pay attention to is Safety of Use. When choosing an iron, it’s worth considering how long the cord is. 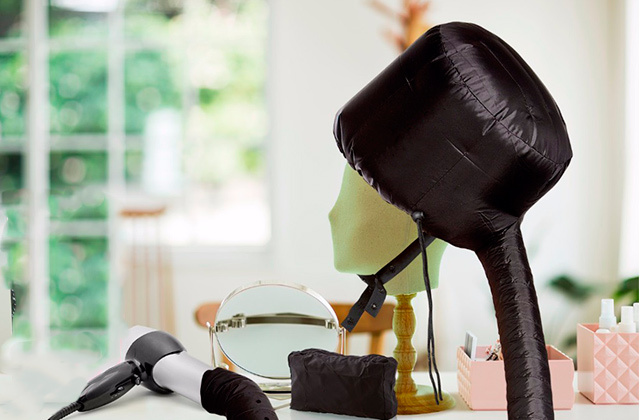 Ideally, it’s got to be at least 2 m long and it’s got to swivel so that you don’t get tangled while making a hairstyle. If you’d like to purchase a conical iron, pay attention whether the model comes packed with a heat-resistant glove. We’d recommend you to give preference to a curling iron with an auto shut-off function. Such irons usually work for about 72 minutes right along and automatically turn themselves off, so that you’ve got a total piece of mind no matter what. 1. Kelly Townsend How Does a Curling Iron Work? LEAF. 2. Hair Iron, Wikipedia. August 26, 2016. 3. Natalie Bell How Do Hair Straighteners And Curling Irons Work? FutureDerm. June 12, 2013. 4. Amanda Holstein The Real Difference Between a Curling Wand and a Curling Iron, POPSUGAR. April 18, 2015. 5. Amanda Holstein Everything You Need to Know About Your Curling Iron, Everygirl. 6. How to Choose a Curling Iron, wikiHow. 7. 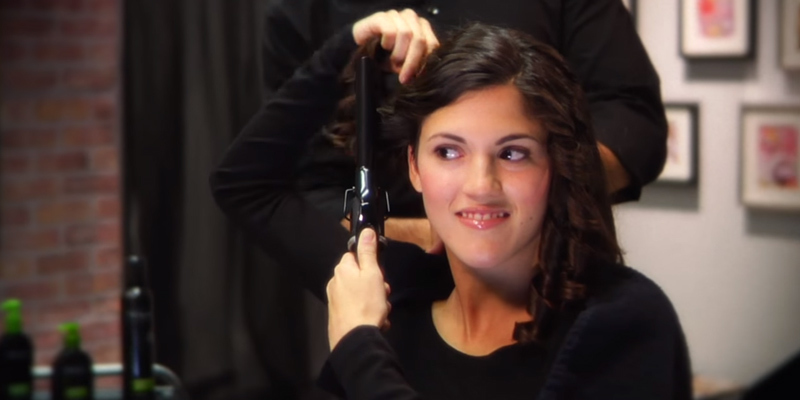 Anna Jimenez How to Curl Hair Like a Pro, TotalBeauty. 8. Julyne Derrick Curling Irons: What to Look for When Shopping for One, About. April 19, 2016. 9. Hair Straightener and Curling Iron Buying Guide, The Good Guys.